Most of us have experienced this first hand, but sleep studies have indicated that cooler temperatures can actually help folks drift into dreamland. This is because your body’s core temperature needs to drop a little bit in order to fall asleep. Trying to get your sleep space to be the perfect level of cool can be tricky, but cooling mattresses and sleep accessories can really help. All Bear Mattress products are designed to promote a cooler sleep so that sleepers (especially those with very active lifestyles) can get the rest and recovery their bodies need. 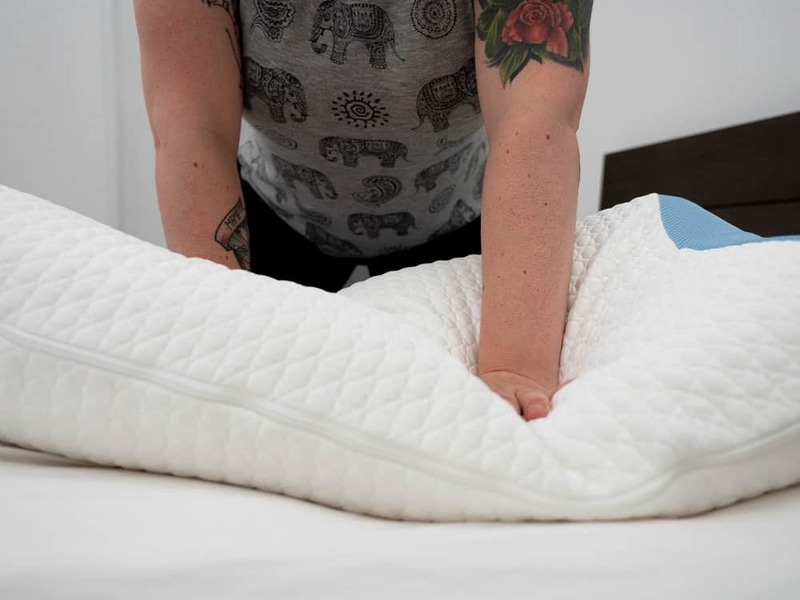 In this review, I’ll be testing the full performance of the Bear Pillow from Bear Mattress to get a better sense of its feel and support, and determine who I think could benefit the most from its cooling features. No time to read the whole thing? Click here to skip to the summary. With a phase change cover, the Bear pillow is best for back sleepers who run hot. The cover fabric of this pillow is made from a blend of cool yarn and polyester, a combination that makes this pillow very cool to the touch. Polyester is naturally moisture-wicking, so the cover fabric helps to keep sleepers dry as well. Two mesh panels cap both ends of the pillow, serving to enhance the pillow’s breathability and help it remain cool all night. A zipper discreetly spans one side of the pillow so the cover can be easily removed when it’s time to be washed. The Bear Pillow is filled with a proprietary blend of polyfoam called Loft-X. It was designed to be body conforming like memory foam, but have the bouncy resilience of latex. It’s an all position pillow and has a quick response to pressure. While the cover is removable, the fill itself is not adjustable. This pillow is 5 inches tall and has a medium firm feel. It was built to be not too soft but not too firm, and not too lofty but not too flat so sleepers of all styles could easily find their comfort zones. The double layer of cool yarn, mesh panels, and moisture-wicking cover fabric are combined to create a cool place to rest. 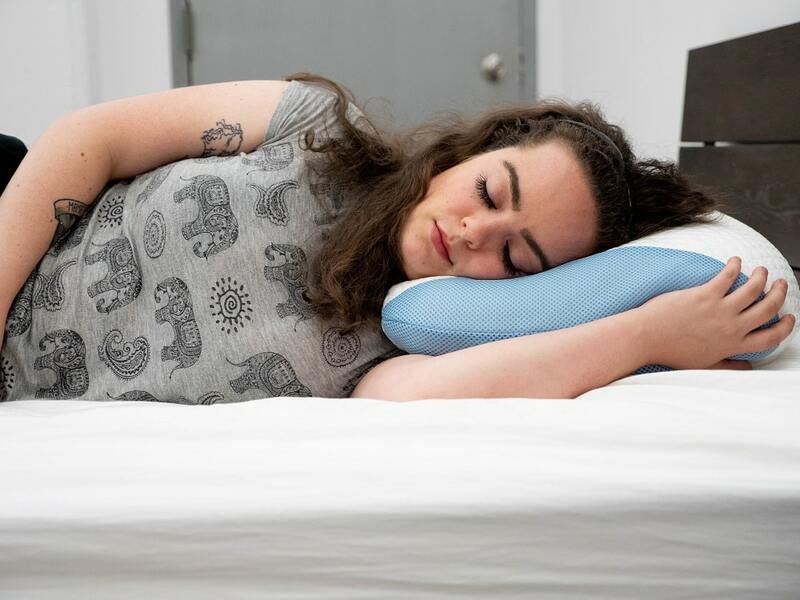 The people at Bear Mattress intended these cooling features to be especially beneficial for folks with very active lifestyles, offering their warm bodies and swollen muscles a breathable pillow that will help lower body temperature and prevent them from heating up during the night. This way, active sleepers can get the full night’s rest their bodies need. 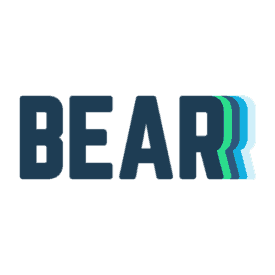 Fun fact: Bear Mattress makes bedding for the active sleeper, but did you know that they also donate a portion of their profits to Good Sports Charity so that kids all over the country can better afford sporting equipment? The Bear Pillow feels so cool to the touch thanks to the layers of cool yarn that the creators refer to as “double ice fabric”. Pressing into the pillow, you can feel the air flowing through the mesh panels that cap the sides. The cover fabric itself is actually kind of slippery-smooth which seems to enhance the cool handfeel. The Queen pillow’s dimensions are 27″ x 15″ x 5″ and the firmness feels like an even balance between plush and firm. Its standard size and shape in conjunction with medium firmness yields a versatile pillow that could provide comfort for any sleep position. The Loft-X foam offers a quick response to pressure, but it also nicely conforms to the sleeper’s head and neck. 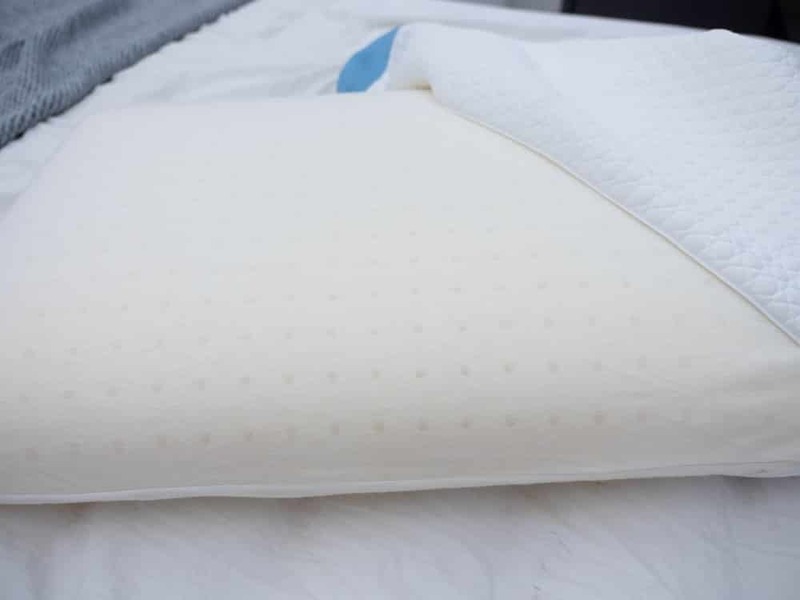 The minds at Bear Mattress aimed to combine the more favorable properties of latex and memory foam to create a pillow that offers a nice sink into the pillow as well as bouncy support. While the pillow’s fill is body conforming, it’s not very foldable and not at all adjustable. 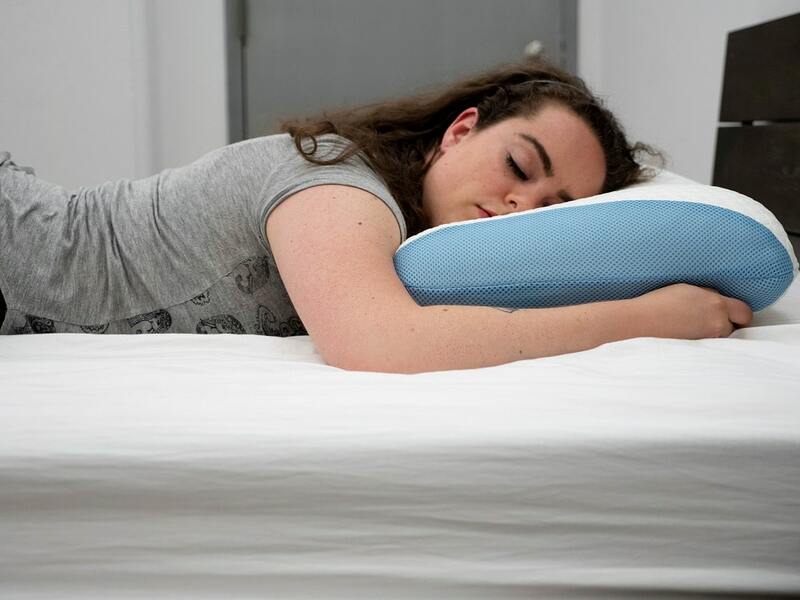 Its lack of shapeability combined with a quick response to pressure can potentially make it more difficult for sleepers to get familiar with this pillow, but the bouncy resilience helps it to keep its shape over time. This pillow was built to be hypoallergenic, so when sleepers are cozying up to the coolness of the cover fabric, they can rest easy knowing that the materials are fighting to keep dust mites, bacteria, and other allergens at bay. First thing’s first: this is one of the coolest pillows I have ever felt. When I first removed the pillow from its packaging, I thought for a second that the pillow had been refrigerated or something because I just wasn’t expecting it to be so smooth and cool to the touch. 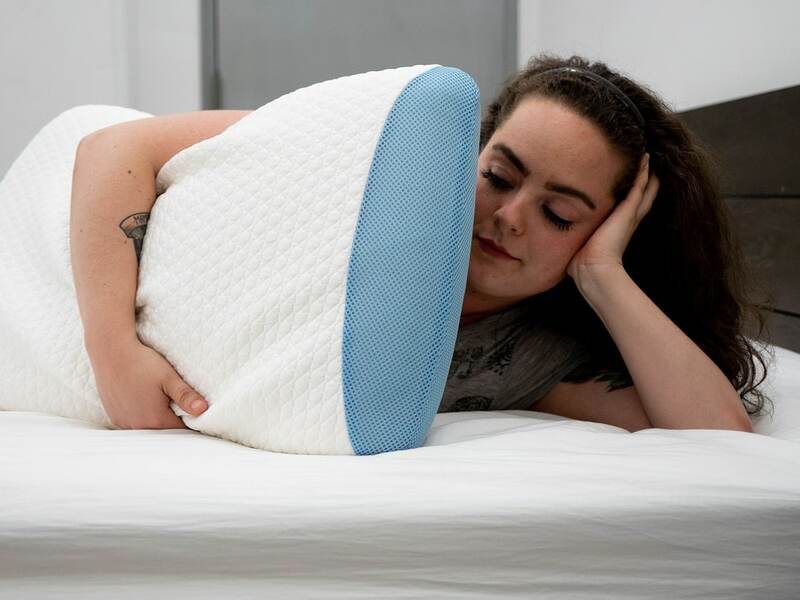 I think it’s important to understand that this pillow feels more than just breathable — you notice how chilled it feels in your hands the moment you touch it. After rubbing my hands all over this pillow’s slippery-cool cover, I was surprised to find that it was still just as cool as when I removed it from its packaging. Now, some of you readers might remember that I’m a sleeper who always runs hot. Like open-the-window-in-December-hot. So, I was extra excited to get this cooling sleep accessory into bed and see how it performs. As usual, I began testing this pillow in the supine position and I did notice that the pillow kind of slipped and slid around the mattress as I tried to position it under my head. Once I got it secured, I felt pretty comfortable! The loft felt just right and my head, neck, and spine were all in neutral alignment. The Loft-X foam nicely conformed to my head and neck, offering great pressure relief and I felt gently supported. I wouldn’t say my head sunk into the pillow in the way that it does with memory foam, but I could definitely feel the foam working to cradle my head and neck. I wouldn’t call this a fluffy pillow either, but its bouncy nature allows your head to just comfortably rest to one side or the other. Moving onto my side, I experienced some more of that slip and slide before wrangling it in to support me in the lateral position. As soon as I pressed the side of my face into the pillow, I was reminded of how incredibly cool and inviting the cover fabric is. I love a higher loft when it comes to side sleeping, so I slid my arm underneath the pillow which gave me the perfect little prop for my head and neck. As I shifted sleeping positions, I could feel the air flowing through the mesh panels and it was obvious that this pillow wasn’t trapping my body’s heat. The only thing I didn’t love about this pillow for side sleeping was that it’s not very foldable, and I kind of like to hug and bunch my pillow up a little bit when I’m in the lateral position. I never felt like this pillow didn’t offer enough support, but I would have liked to be able to fold and shape it a little more. I’m generally not a stomach sleeper, but I found this pillow to have some good prone sleeping potential. This pillow is five inches in loft which is almost too lofty for me, but my head sunk into the pillow just enough to ensure my head was not too elevated. 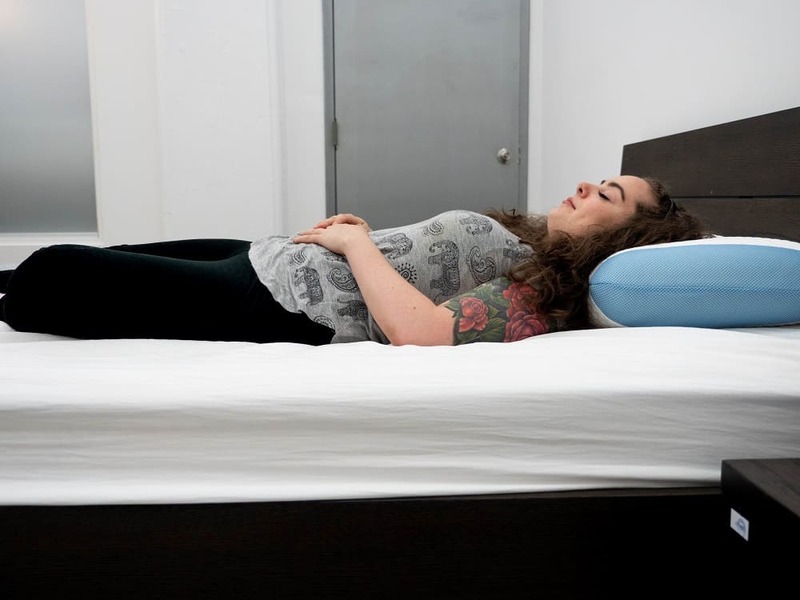 Because this pillow does have a medium firmness, though, I would definitely suggest that stomach sleepers give this pillow a try before committing just to be sure it’s not going to throw your posture out of alignment. Better safe than sorry! The bouncy resilience of this pillow makes it great for between-the-leg support. I didn’t feel like my leg was just sinking to the bottom, and it gave my hips some extra support that relieved pressure in my lower back. Not to mention, even after being sandwiched between my legs for a while, this pillow still didn’t seem to trap one bit of my body heat or get any less cool than when I began testing it. Because this pillow is not very shapeable, it probably wouldn’t be my go-to for an under-the-arm-hugger. I prefer my pillow to be more fluffy and foldable when it comes to squeezing it under my arm, but I could see how it might offer sleepers (especially taller sleepers) some good, firmer support. 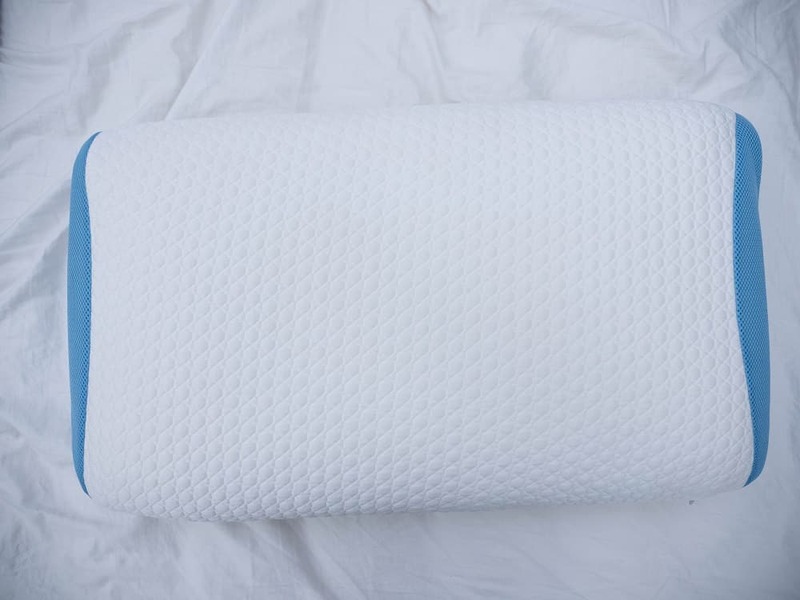 Wash instructions — The cover of this pillow is machine washable and dryable (on a low setting), but the pillow itself must be spot cleaned with cold water and a mild detergent. SHOULD I TRY THIS PILLOW? Plays sports — This pillow was made with active sleepers in mind. Its cooling features are intended to promote better sleep which can lead to better muscle recovery. Has allergies — This pillow is hypoallergenic, so it might help sleepers with environmental sensitivities get a full night’s rest. Likes like bounce of latex — Loft-X foam was designed to have a bouncy response to pressure like latex does. So, sleepers who are compatible with latex pillows but are curious about foam should give this one a try! Buy your new pillow directly from Bear! Overall, the Bear Pillow is a great choice for sleepers who are looking for excellent cooling properties with the contouring of a foam pillow. 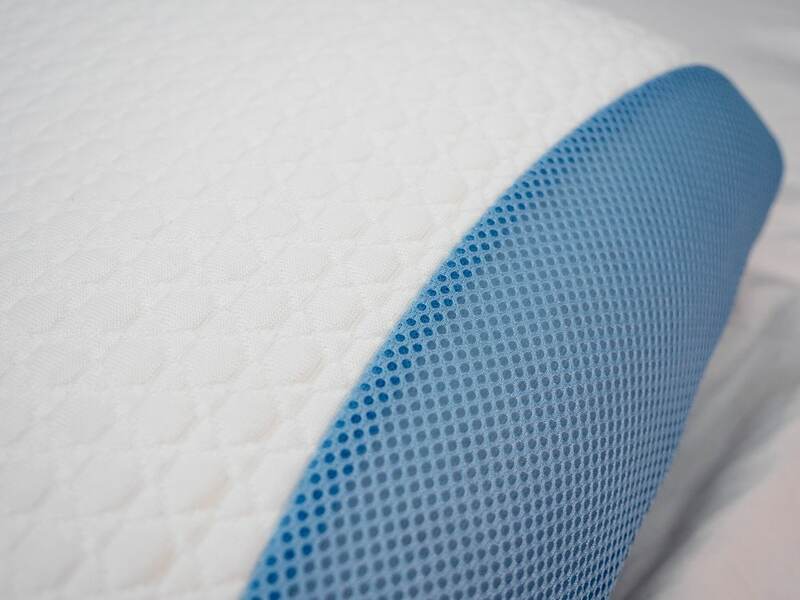 The dual mesh side panels allow airflow throughout the night, while the body of the pillow remains cool to the touch with the Bear’s LOFT-X foam technology. Great for most stomach and back sleepers, and a good choice for some side sleepers, provided you like the thinner loft.